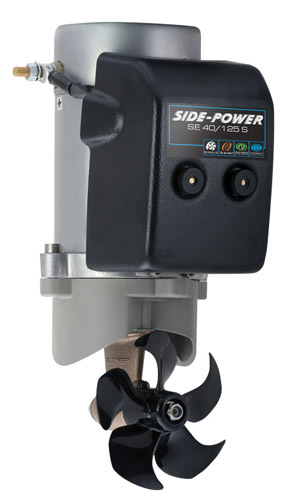 The SE40 thruster gets every ounce of power you could want out of a 5" tunnel thruster. Side-Power's proprietary IPC system ensures safety and reliability while maintaining high thrust output and low-noise operation. Customize your thruster system with our wide range of controls, remotes and other add-ons.